Osaka (Japan) – November 7, 2018 (travelindex) – Best Western Hotels and Resorts has revealed plans to launch another modern international hotel in the heart of Osaka, Japan’s second largest city, commercial center and culinary capital. Scheduled to open in the first quarter of 2019, Best Western Plus Osaka Kitahama is a newly-constructed property in the city’s Chuo-ku ward, just a one-minute walk from Kitahama Station. From there, travelers can connect to the entire city and beyond via the Osaka Subway and Keihan Main Line. Best Western Plus Osaka Kitahama is located close to the Aji River and surrounded by key business and leisure attractions such as the Osaka Securities Exchange, Nakanoshima Park, Osaka Prefectural Nakanoshima Library and the Museum of Oriental Ceramics. 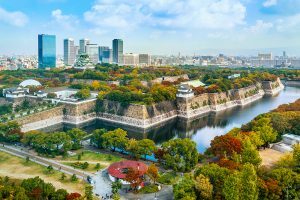 Other major locations including Osaka City Hall, Goryo Shrine, Osaka Castle and the Osaka Museum of History are within easy reach. Upon opening, this new upper-midscale hotel will feature 80 sleek and contemporary rooms. All of the rooms are fully equipped with international standard services and facilities such as high-speed Wi-Fi, flat-screen TVs, electric kettles, refrigerators, toiletries, hairdryers and working desks. Guests will be able to dine at the onsite restaurant or grab 24-hour snacks and drinks from a vending machine. A laundry service is also available. This new property will become the third Best Western hotel in Osaka, following Best Western Hotel Fino Osaka Shinsaibashi and Best Western Osaka Tsukamoto. It will also mark the debut of the upper-midscale Best Western Plus® brand in the city. “Japan is one of the largest and most important Asian markets for Best Western, so we are delighted to secure yet another impressive property in this dynamic country. As Japan’s second largest city, commercial hub and the heart of the Kansai region, Osaka has a huge amount of potential for international travel, as well as the thriving domestic market. By offering a collection of globally-recognized hotels in strategic locations across the city, Best Western is perfectly placed to meet this demand” commented Olivier Berrivin, Best Western Hotels & Resorts’ Managing Director of International Operations – Asia. 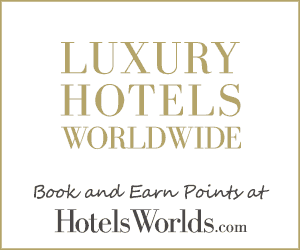 “Best Western Plus Osaka Kitahama will harness our company’s timeless values of world-class hospitality, service, connectivity and value-for-money, allowing guests to stay in comfort and style. I look forward to introducing this new era of upper-midscale hospitality to guests in Osaka when the hotel opens early next year” Olivier added. A major port city and commercial hub, Osaka is famous for its architecture, nightlife and street food. It is also home to enchanting cultural landmarks such as Osaka Castle and Sumiyoshi-taisha, one of Japan’s oldest Shinto shrines. The city’s two airports, Kansai and Itami, handle more than 40 million passengers per year. Today, Japan is home to more than 15 Best Western properties, ranging from urban hotels in key cities such as Tokyo, Osaka and Hokkaido, to beach resorts in Okinawa, convenient airport hotels and more.